Past Life & Life-Between-Lives Regressions. TO PURCHASE DR. MICHAEL NEWTON’S BOOK – Journey Of Souls: Case Studies Of Life Between Lives (Amazon affiliate) CLICK HERE. Journey Of Souls is Dr. Michael Newton’s breakthrough book on life-between-lives regressions. It’s my favorite book on the subject and my favorite of all Michael’s books. 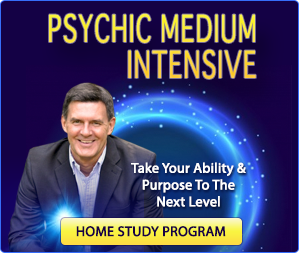 Using a special hypnosis technique to reach the hidden memories of subjects, Dr. Newton discovered some amazing insights into what happens to us between lives. Journey of Souls is the record of 29 people who recalled their experiences between physical deaths. 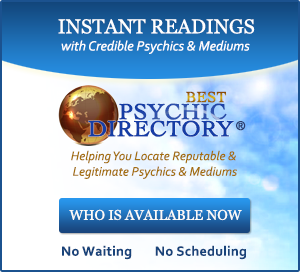 NANCY CANNING’S BIOGRAPHY: Nancy received her Masters Degree in Counseling Psychology in 1982, is a certified clinical hypnotherapist and a trained clairvoyant. From 1982 through 1990, she was very active in a metaphysical/psychic institute and church in California where she became a minister and teacher, spending much of her “free” time doing energy healings, reading auras, doing past life readings, giving spiritual direction and counseling, as well as leading Sunday church services. It provided Nancy the foundation for much of the work she does today. She has been working with the connection between, and the healing of, the mental, physical, emotional and spiritual aspects of our lives for over 30 years. In February 1998, Nancy Canning attended an intensive month-long hypnotherapy training at the Alchemical Institute for Healing Arts, located in Santa Rosa, CA. She returned home to begin her hypnotherapy counseling. Six months later, she began assisting at their basic training, as well as attending advanced hypnosis healing workshops. As a result, Nancy accumulated over 350 hours of hypnotherapy training and assisting. 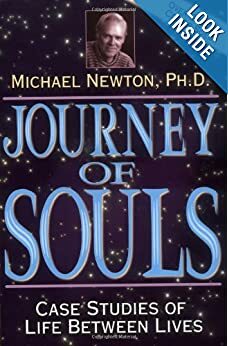 In November 1998, Nancy read Journey of Souls by Dr. Michael Newton and by the time she was halfway through it, she knew two things for sure: (1) she had to have a session, and (2) she was born to do this work! Nancy Canning knew instinctively that all she needed was to experience the journey and then she could lead others on it. It was as though the prior 20 years had been preparing her for this work. Nancy contacted Dr. Newton and was placed on his waiting list. Two years later, her turn came. In 2000, she had her own spiritual regression. Nancy then returned home and began working with friends, guiding them on this extraordinary journey. A few months later, she returned to California and attended a 3-hour mini-training with Dr. Newton and validated that she was following all the correct steps! Six months later Nancy assisted at the first professional LBL training and became certified as a Life-Between-Lives Spiritual Regression Therapist. In 2002 Dr. Michael Newton invited Nancy to become a founding board member of the Society for Spiritual Regression. Nancy held the positions of treasurer and training registration coordinator for over three years. During that time, she helped create an intensive training program for other hypnotherapists and co-taught these trainings nationally and internationally. Oh wow, I loved this interview! I am particularly excited that Nancy can do these sessions via Skype, as I live far away from the States. I have been wanting to do a past life regression/ life between life regression for many, many years so I am thrilled. That’s great. I hope you can make it happen. My best to you. Wow, that’s a really cool story. Thanks for sharing. I like their message, why be afraid of dying when we’ve done it so many times before. I appreciate your comment. Hi, Bob. This was yet another really cool interview. 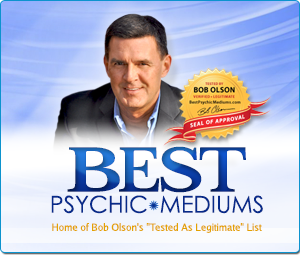 I am a hypnotist and unfortunately let my membership to NGH expire due to lack of money. Nonetheless, I still feel “able.” I was tuned right in to what she was saying and have experienced a regression which took me as a young boy back to Egypt. I also went back another lifetime and found myself in an alley that had been recently bombed. I was a Japanese man in that one. I would like to know if it’s possible to have had a lifetime in a different galaxy. I am SO into Pleidies (sp) that I am convinced that I have been/lived there. I haven’t managed to manifest a memory, but my intuition is speaking loud and clear. Anyway, thank you for yet another amazing adventure. I just love what you do! I don’t know anyone who has gone to such a place in a regression, but that might only be due to our human minds not being able to understand it. I do believe we have other lives in other dimensions, so it’s certainly possible. I was going to recommend that you watch the interview with Nanci Danison about this subject, but I see that you have. Thank you. I’m so very sorry about your son’s passing. Sounds like it’s been a journey for you. Thank you for your thoughtful comment. And I appreciate you sharing your story, as that can serve to help others. 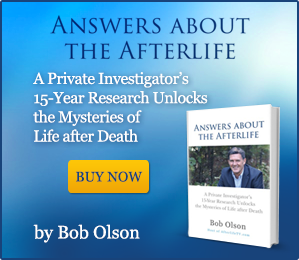 I’m glad that I interviewed both Brian Weiss and Bill Guggenheim on Afterlife TV since those two books were pivotal for you. Many Lives, Many Masters and Hello From Heaven are without a doubt two of my favorites, especially for people who have recently lost a loved one. It’s so true about not telling anyone about your regression experiences. I had both of these regressions in hope to meet my sister and told my brother-in-law about them thinking he would appreciate what I experienced seeing, his wife, but the opposite happened and dismissed my experiences. I was so shocked and he brought negative energy to my most sacred experiences in my life! I’m glad I hadn’t told many more. You really have to choose wisely if you were to share. On another note, although my LBL was very vivid & clear, it lacked the unconditional love feeling you & Nancy spoke about (now makes me want to go another one!). My past life regression also lacked depth like I didn’t find out a lot of whys and couldn’t really feel who I was, only saw what I was doing. Do you think if I were to do another past life or LBL, the feelings part will get stronger? However, my LBL was an emotional experience for sure but couldn’t feel that unconditional love you spoke of. Thanks again for all you do, love your videos! I believe that each LBL experience is unique and offers something new that is important for us to know. But there’s never any guarantee of what you’ll experience. Yet meeting with the elders is quite common, which is where that unconditional love emanated. 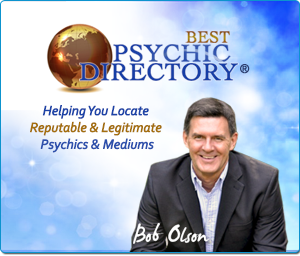 You might want to try a different regressionist, but that’s certainly not necessary. Whatever you choose, if you have another tell the regressionist that you’d like to experience what it’s like to be with the elders. I did meet with my elders in my LBL but still didn’t feel that unconditional love you two spoke about. Yes, I know every experience is unique… If I have another chance, I may try someone different. But because I’ve had one already, I wonder if my mind will “make things up”? Or will just remember my last session and replay that. I was so exhausted though by the end of my LBL that I probably was too tired. Anyway, I hope I will get another opportunity! My Aunt told me about this web site a few months back. I have trouble quieting my mind, and I’ve finally gotten the chance to check it out. I came looking for Dr. Wiess, but found Nancy and I really liked this interview. I’m happy to learn that you’re hearing something new. Welcome to the site. I hope to have a past life regression with Nancy Channing in the near future and I’ve read and loved many f the books you have mentioned. However, I’m wondering what spirits in the afterlife think about organized religion? Great question. Based on my investigation of the afterlife, especially my work with mediums, what I can tell you is that every religion that promotes love over all else has got that part right, which includes peace, forgiveness, and compassion. And those that promote fear, judgment, separation, or hate have veered off course. In all my work with mediums and channelers, I’ve never had a person in spirit tell me that there is one best or most accurate religion. What spirits indicate as important is that we love one another equally, unconditionally, and unselfishly, we forgive ourselves and other people for all wrongdoings (this might be the most difficult one), and we treat everyone with the same respect and dignity that we would give our creator (Source, Universe, God). This doesn’t mean we should allow others to abuse, hurt, or take advantage of us. Nor does it mean we don’t protect ourselves and don’t put people who are a danger to society in prison. None of this is about being a pushover, wimp, or doormat. It’s about being loving in our thoughts, words, and actions to every human being on earth. When deciding how to act and whose example to follow, the more accurate question to ask ourselves is, what would I do in this situation if I were acting out of pure love and in the best interest of everyone affected by my choice? Your answer to that question will lead you in the right direction every time. I tried to send Nancy an email at her ID [email protected], but it bounced. Kindly let me have her contact details. Her website does not open either.